To which I now say: shut up and read the damn comic you fool. Because you are in for a treat. I didn't really think about it before but that sorta approach to lyric-writing is a pretty perfect sorta place to start for writing comics (well - a certain type of comic at any rate). The "sing whatever just sounds good" school of bands (whose alumni include: Mclusky, Future of the Left, The Pixies, Biffy Clyro, Parts and Labor and - yes - My Chemical Romance) all know that if you find the right words to make a perfect moment (and what is a pop song if it's not just a perfect 3 and half minute moment?) then it doesn't matter that much about meaning - because people's brains can fill that bit in later - and - hell - if the moment is perfect enough - then that's sorta meaningful anyway (and if you've ever shouted: "Then God is seven!" at the top of your lungs then you'll know what I'm trying to mean). And - ok (I'm gonna try and make this make sense): if a story is a series of incidents told about a bunch of characters doing certain stuff - (I know I'm not exactly reaching Joseph Campbell  levels of insight here but just bear with me) then - for a writer - the issues is how do you distill that incident into a finite amount of pictures and words. I mean - with a book and kinda with a film - it's a lot easier - because you have more time and more space to play around with (usually it doesn't matter that much if you wanna add a few more pages or some extra scenes - obviously it might make things less lean - but it's an option if you wanna take it). But with a comic you pretty need to reduce everything as much as you can - trim away all of the fat -and leave only the important essence. Because that's what it's all about . So if you take someone - and that would be Gerard Way - who's used to writing songs that go - Blam! Blam! Blam! 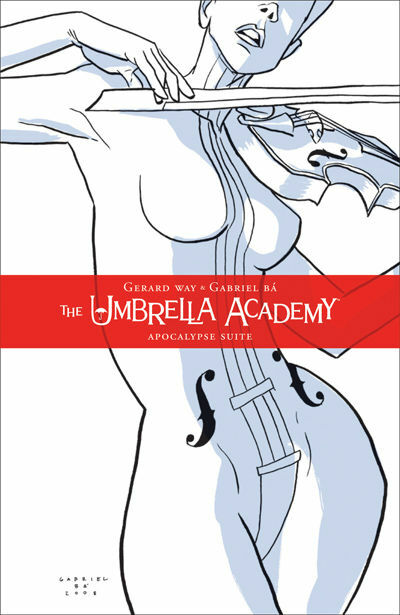 - with one great phrase after another after another (any one of which could comfortably be written in biro on a backpack) and transplant them into a place where every panel and every word and every small part counts: then you get something called The Umbrella Academy. And - (this is the thing that I've been trying to get at) - The Umbrella Academy is awesome because it reads just like a great rock song sounds : every part is beautiful and every phrase that everyone speaks wouldn't just be great put on biro across your backpack - but tattooed across your face. And to be clear: even tho it comes across as someone just making up awesome things as they go along (the first part is called The Day The Eiffel Tower Went Berserk) one of the many best things about these books is the way that it's masterplan all falls into place bit by bit by bit. So even if it seems random with people throwing out killer lines just for the sake of it ("There's just nothing special about you") well: everything happens for a reason . Altho: truth be told (and don't judge me for this) even tho I wouldn't strictly define myself as an actual My Chemical Romance fan (in that I don't think I could listen to a whole album of theirs from beginning to end - with the exception of 'Danger Days: The True Lives of the Fabulous Killjoys' which is my pretty tasty even if all the songs go on a little bit too long - but damnit pretty much all of them start so so so well) they do have a bunch of songs that I would be happy to put on a mixtape (if people still made mixtapes) including: The Sharpest Lives (ooh! yes! I could just quote the entire lyrics - but I won't seeing how most of it is all in the delivery), Sleep (I have a weaknesses for songs that go BIG for their ends), I'm Not Okay (I Promise) (altho I think that might mainly be because of the video - which is awesome pretty much just because of how Gerard Way emotes to the camera), Na Na Na (Na Na Na Na Na Na Na Na Na) (best lyric ever (? ): "Thought you was Batman / And hit the party with a gas can"), The Only Hope for Me Is You (as featured - apparently - on the soundtrack for Transformers: Dark of the Moon - but please don't hold that against it), S/C/A/R/E/C/R/O/W ("Everybody hide"!) - and... I'll stop now. Did anyone else ever buy those big books about song meanings? They had a really nice one about Nirvana that went through song-by-song and tried to untangle what they were about. Think that's one of the reasons I liked Nirvana so much (and you know - also because they were just so damn awesome, loud and noisey) is that listening to them was when I first realised that the words of a song could actually - omg - mean something and communicate some sort of idea rather than just being a bunch of words that didn't mean anything (damn you pop music - *shakes fist*). Just reading their wikipedia page: turns out that they were orginally called: "Best" (I LOVE THEM). Note: I realise that other people had this realisation from the Pixies (isn't there a story about how Frank Black got his lyrics by screaming at himself at the mirror and then just writing down whatever his mind threw up?) - but when I was young and brought Doolittle after I read an Uncut article telling me that The Pixies were the original Nirvana - and then getting disappointed when it turned out that they didn't really sound like Nirvana at all - (altho that Monkey Gone To Heaven song was kinda cool): I didn't much like The Pixies. 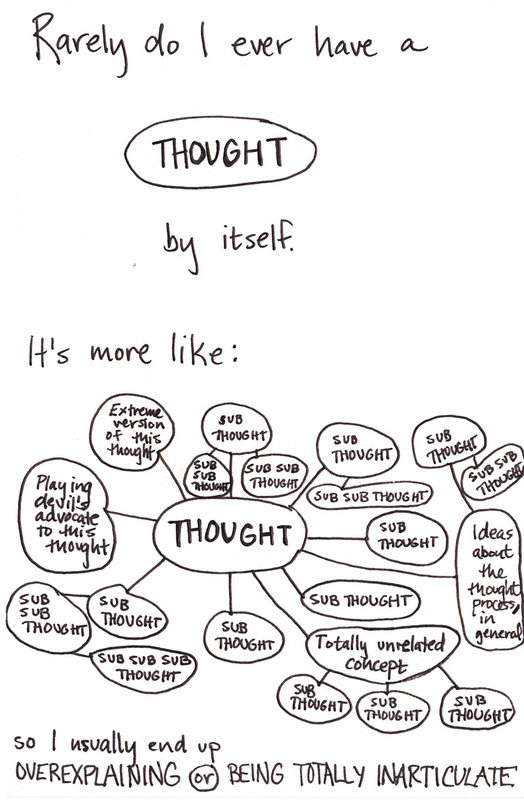 In fact: damn it - just listen to To Hell with Good Intentions and then get back to me. That's the guy that wrote The Hero with a Thousand Faces which is all about archetypal heroes and story models ("the monomyth!") and stuff - that's best known for being the book that George Lucas used to help him write Star Wars. You put your right hand in, you put your right hand out, in out, in out: and you shake it all about. That's actually a quote from Variety which they used to describe David Lapham's Young Liars comic - but to my mind it makes way more sense to apply it here. Because while Young Liars kinda tries very hard to be edgy and rock and roll and all the rest of it (it even includes a suggested soundtrack for each issue) - The Umbrella Academy just sorta is - without even trying. 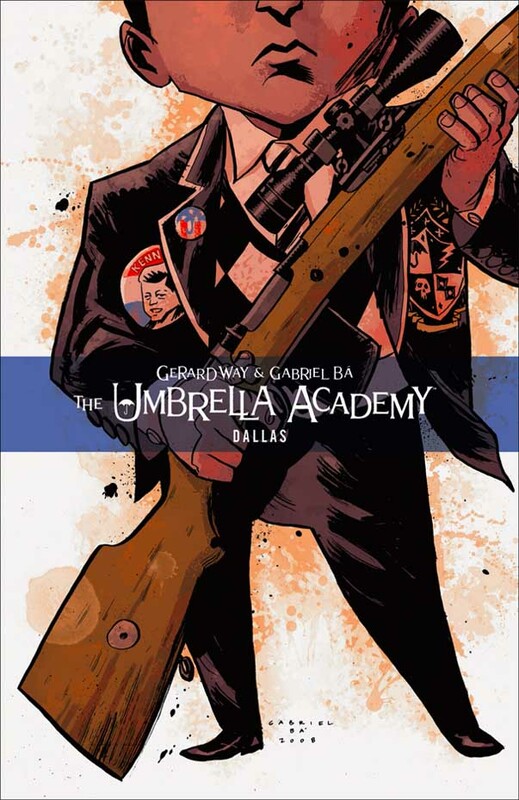 Links: Forbidden Planet Blog Review of Vol 1 / Forbidden Planet Blog Review of Dallas #1 - #3, Are You A Serious Comic Book Reader Review of Umbrella Academy: Dallas #1 / Dallas #2 / Dallas #3 / Dallas #4 / Dallas #5 / Dallas #6, Sean T Collins Review. Further reading: Orc Stain, Daytripper, Flex Mentallo, Saga, Scott Pilgrim, Vimanarama, The Filth, Chew, Young Liars, Doom Patrol, Xombi, Sebastian O, B.P.R.D., Doom Patrol.